It’s almost been a whole year since we treated you to the Landscapers Grass Seed Guide 2018, where we shared the best mixes for landscapers to use to create luxury lawns. However, we don’t make grass seed just for landscapers – we make it for Family, Groundsmen & Greenkeepers too. 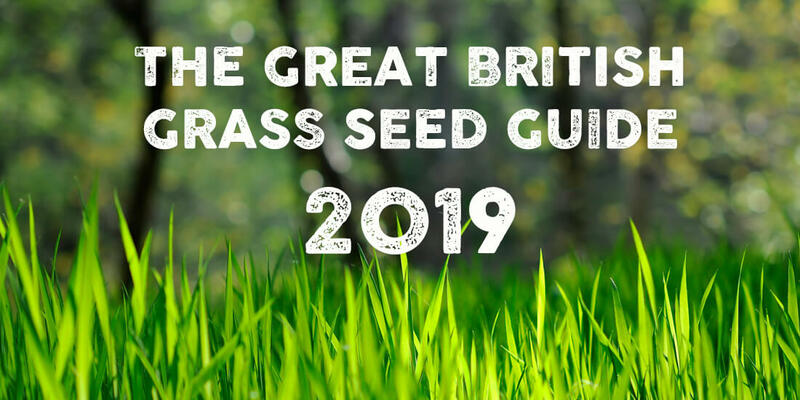 So, we’re here to give you our Great British Grass Seed Guide for 2019 – Great British Bake-Off style. We’ll be sharing all the seeds you’ll need for your Signature, Technical and Showstopper Challenges, and we can’t forget Star Raker of the Week. Let’s get started! All our family mixes are available in 2kg, 10kg and 20kg mixes. Sow at 50g per m2. 2kg will cover 40m2, 10kg bag will cover 200m2 and 20kg bag covers 400m2. Ah, the signature challenge. 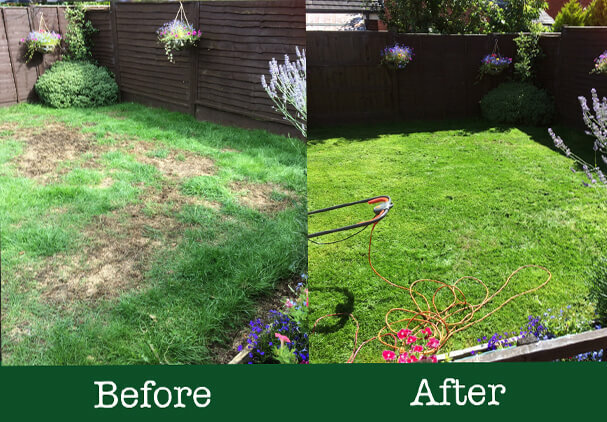 The grass seed you’re most confident with sowing and is your most tried and tested method for a great lawn. The grass seed you’ll need? our Family: Kids and Pets Grass Seed. This mix is made up of 80% Perennial Ryegrass and 20% Chewings Fescue. Perennial Ryegrass is well known for its hardwearing properties and rapid growth when established, whilst Chewings Fescue is drought tolerant making it an amazing mix that works time and time again for the sometimes frantic, but always frolicking family. Well, using this grass seed isn’t a technical challenge at all – it does all the hard work for you! 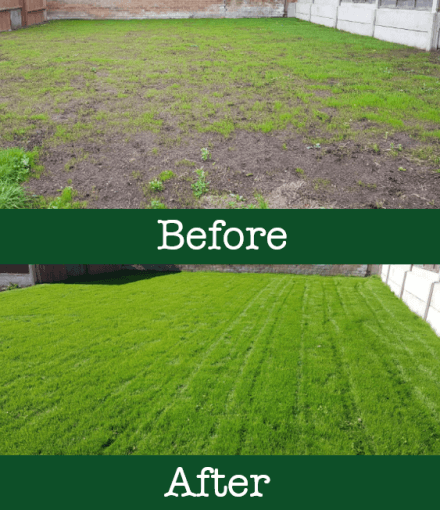 Our Restore: Self Repairing Lawn is made up of 40% Zurich Creeping Perennial Grass that works away at repairing your lawn without the need for constant check ins. Paired with 50% Strong Creeping Fescue and 10% Slender Creeping Fescue – although germination may be slow in the first year or two, once your lawn is established it will continue to grow and thrive – just like your own little family. Aww. There’s only one answer for the Showstopper Challenge – our Statement Front Lawn grass seed. 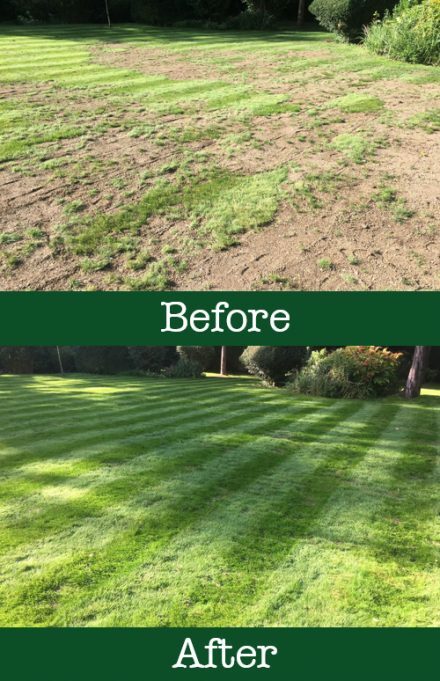 This seed is made up of 70% Strong Creeping Red Fescue which is ideal alongside Slender Creeping Red Fescue & Chewings Fescue for close mowing to achieve those two-tone stripes you long for. Perfect for those families who want an ornamental lawn or just want to make their neighbours jealous! Get those ‘Keep off the grass’ signs at the ready! All our Landscaper mixes are available in 10kg, 20kg, 50kg and 100kg mixes. Sow at 35g per m2. 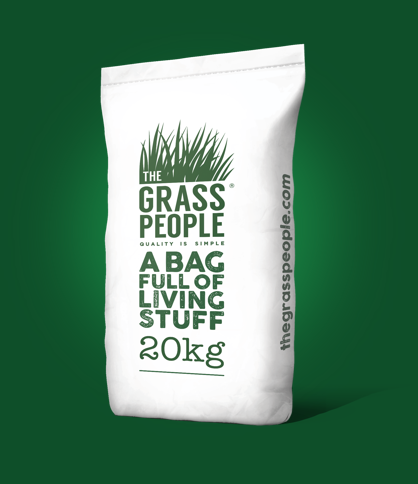 For overseeding your lawn a 10kg bag will cover 285m2 and a 20kg bag will cover 570m2. 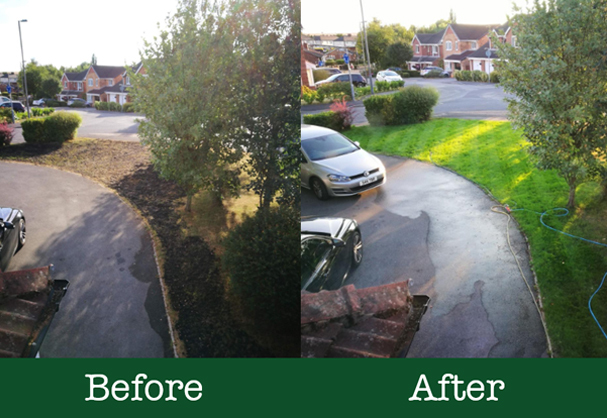 You’re working on a new build and your brief is to get a lawn down – you’re well used to this, but you don’t want to be part of a never-ending snag list, so you’re going to need our Simply Seed. Quick to establish with our Strong Creeping Red Fescue component, sowing this seed will leave the new lawn green, uniform and perfect for that concerned new couple. Simply Seed will help you get that call back about the next lawn, and not the last one! 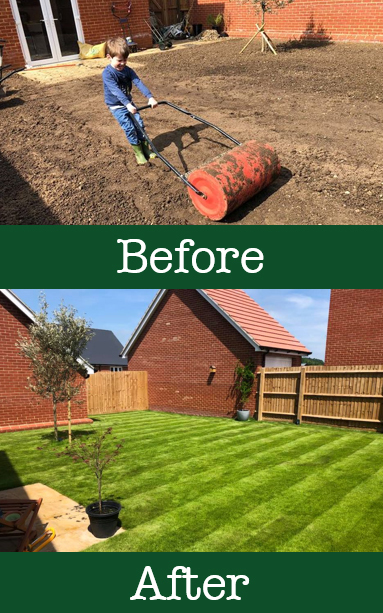 Time for your technical challenge – your customer has a large lawn with lots of bricked flower beds and now you need to lay down the lawn of the land. Our Hard Edge Seed is perfect for all the curves and edges and nooks and crannies of any garden. The blended mix of Fescues and Bentgrass will give you a thick and luscious lawn that will establish itself around edges whilst the White Clover provides a food source for bees and pollinators, so you know you’re doing your bit for the little fluffy fellas. So, your customer fancies themselves as a bit of a golfer – but they don’t have the space for a golf course or the ideal soil conditions yet they still want that ‘Just-gone-to-the-Golf course’ look. 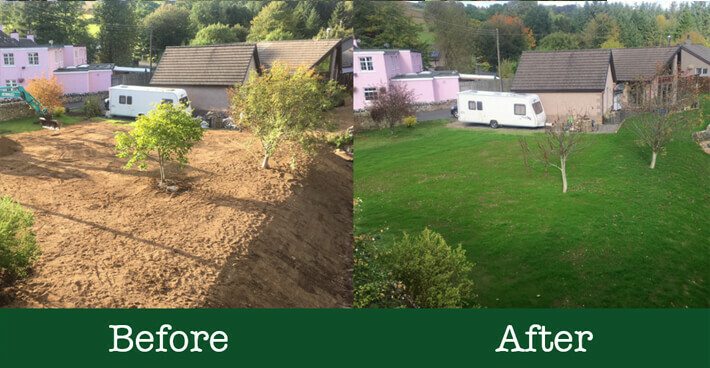 Our Fine Finish grass seed can help you achieve and succeed your customers expectations. Full of fabulous Fescues including Strong Creeping Red Fescue, Chewings Fescue and Slender Creeping Red Fescue that will perform in tougher conditions, this fine mix will help produce a dense sward that also suits close mowing. So whether your customer is a Rory McIlroy in the making or an ambitious amateur, they’ll feel just at home in their pitch perfect lawn. Wear and tear on rugby and football grounds is expected. What isn’t expected? The amount of time it takes for that worn and torn grass to restore itself. That’s why we recommend our Perform: Sports grass seed mix that is quick to return grass to its former glory with 100% Perennial Ryegrass with 3 different cultivars. With added early growth and better playing conditions, sports athletes may have their signature moves but you’ll have your signature seed! Golf is great. Divots are not. All greensmen know this and know how hard it can be to repair & restore these necessary evils. So,if you want to get a hole in one, opt for our Perform Outfield & Fairway seed that has Fescue and Perennial Ryegrass a plenty to fill in those dastardly divots. Sow this seed and FORE-get about it – but remember to first blend the grass seed with the sand to improve seed to soil contact and aid drainage. There are different horses for different courses, but our Perform: Racecourse Seed is the best seed to bet on for a hardwearing and fast-growing grass. We selected our three prime perennial ryegrasses for this mix so the horses aren’t the only studs on the field. So say neigh to slow growth and short-lasting grass! Well, it could be you! Don’t forget to scarify your lawn with all these grass seeds before sowing to get rid of moss and thatch and to ensure the best foundation for your seed. Remember, no one likes a soggy bottom!